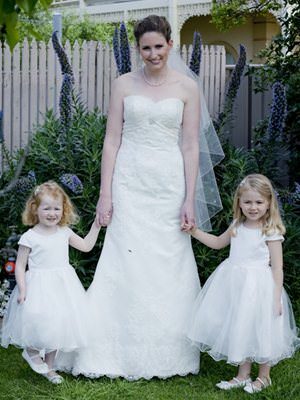 Beautiful wedding dress - worn once! Elegant and classic. VERY flattering design - photographs really well. I felt amazing in this dress and I'm sure you will too!<br><br>Beautiful lace and beading detailing.<br><br>Paid $1200 - Selling $650. ****Now Reduced**** Selling $450. A beautiful dress at a bargain price! <br><br>Please contact me with any questions. You are welcome to come and try on the dress.